for the Wayfarer devotees. Read this sobering tale. 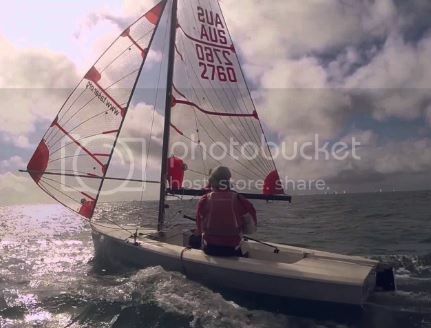 Frankly it would be pretty close to madness to try that with an experienced, well equipped and experienced crew; the Wayfarer may have a good reputation but it's still an open dinghy. I once saw one in trouble ( but no way of helping ) as a boy on Lake Windermere; itwas blowing a good 5 and they just kept capsizing as soon as righted. I seem to remember the hatch on the aft tank became loose, but from what I saw it seemed like too much side buoyancy ( so judging from comments here maybe non-standard ) , it went downwind fast and was hard to right; this is from dim but I think vivid memories of 40 + years ago. The Osprey is also a sod to right, but the one which upset me was the Contender, designed for one bod, I - around 12.5 stone - was assured by the association it was easy to right; as soon as I capsized it went straight inverted, of course wind and tide are huge factors. 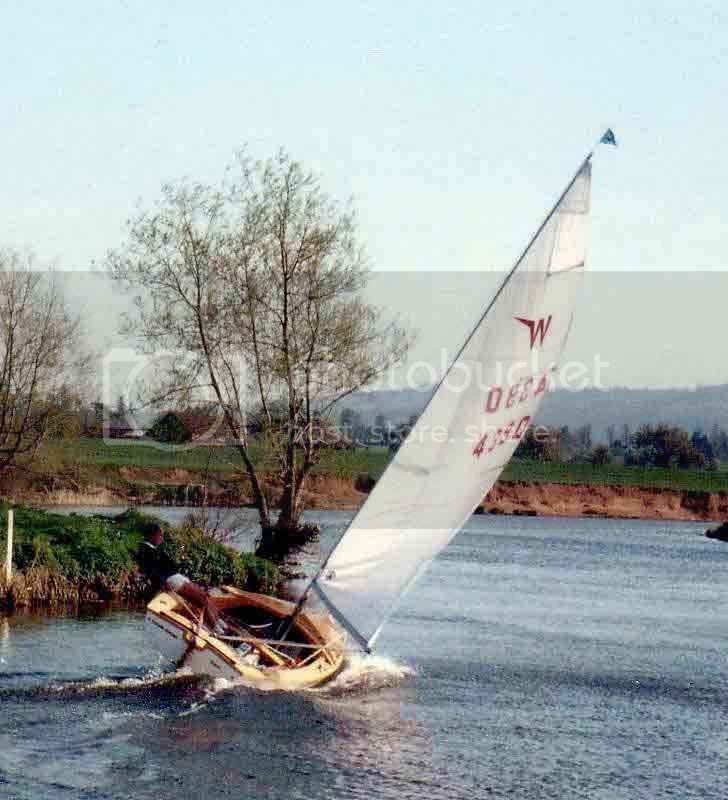 Of course boats designed for salt water do definitely behave differntly - worse - in fresh water, I seem to remember Frank and Margaret Dye used to lower the mast to ride out gales ? 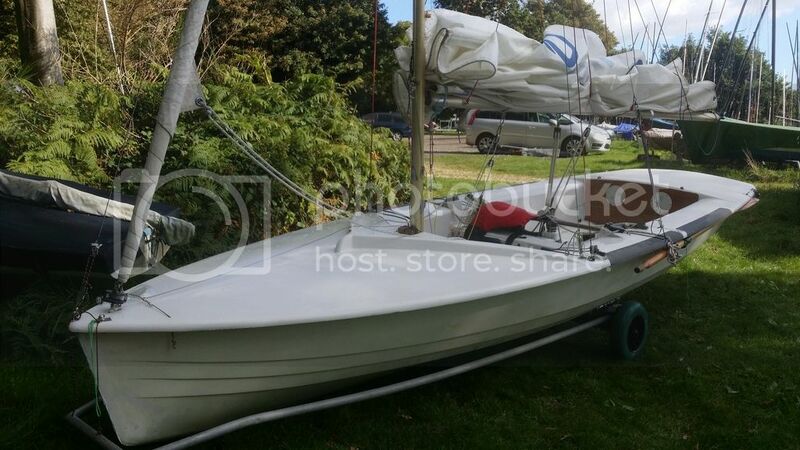 It seems to me that just as cruisers are best sailed by ex-dinghy sailors, maybe Wayfarers need a bit of experience on a smaller dinghy first, certainly if planning to cruise - if nothing else but to learn if self and projected crew have the necessary weight and skills. Bloke is not sitting out--- He is " leaning back a bit" !!!!! ------& Dan , In your case you should be out on a wire-- No picture of you, but one would assume you would be!!!! Looking at the wind on the water the next few frames of film would be interesting. Probably the most excitement he's had in a Wayfarer. I wonder if it did round up and hit the tree? Dan, In your case you should be out on a wire - No picture of you, but one would assume you would be!!!! One lousy touched-up photo from October last, supplied by a mate who was rather a long way behind, using 8x digital zoom. But don't blame him, it was my first time on the wire. I know it was first go and just experimenting, but you may need to go a bit further forward, think Contender; long tiller extension which has to be swept round aft when tacking or gybing, and foot grips - not holds - nearer the shrouds. The trapeze elastics should help you forward when out, but be handy when you're in, soon easy to sort - pretty much as for 2 man crew. Last edited by Seajet; 22-10-18 at 21:10. ...to be honest I wouldn't have posted that photo, if I had ANY others...looks more like I'm just standing on the side-deck. My tiller extension is one of Wickes' top quality telescopic aluminium shower-curtain poles. £5.99, and recommended. ...and after righting the boat (quite easily, considering her mass and sheer size - though she hadn't gone over very hard), there was enough length after breaking off the bent bit for me to carry on sailing for the rest of the day. I may get a proper one, but no hurry. Round and round we go...toestraps, capsize, and Ian Proctor's wonderful boats. In spite of what you said earlier Andy, I do think the Mk2 Osprey and Wayfarer have remarkable visual similarities. we'll have to disagree re the aesthetics. He had the good sense to deliberately capsize the boat so I could catch up and rejoin, or I'd have been in for a very cold quite dodgy long swim. I was on the end of the sliding seat in an early hornet, no. 263, must have just lifted my weight slightly and it slid from under me and down into the water. Archaic bit of kit. I used to stay pretty dry in most capsizes but we did a bit of a gyration that time. I shall keep note of that excuse, for my own future use. Even though my shower-curtain tiller extension is telescopic, I didn't have it at full-scope when I tried the trapeze last year. In theory it'll reach nearly eight feet. In practice I doubt I'll often need it to be more than five-foot-six. Did anybody ever fit a trapeze to a Wayfarer? The chap singlehanding in the earlier photo, might have benefited from the addition. Under strain of manoeuvring the Osprey alone on shore, I've looked at the Tasar as a light, rewarding, possible singlehander. 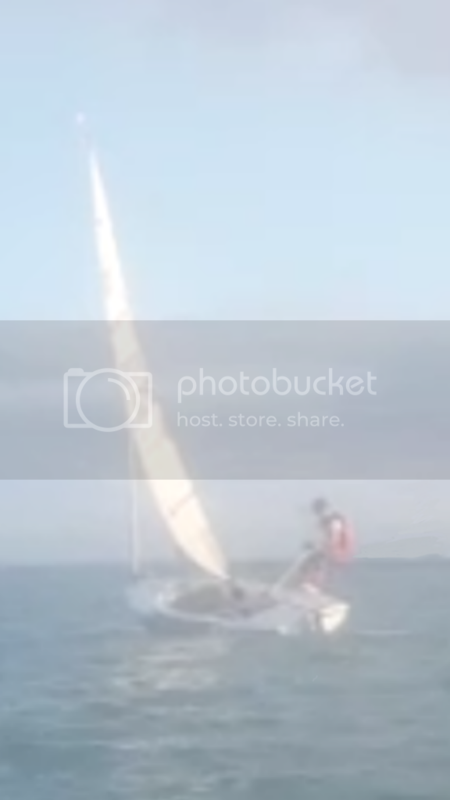 Upwind, it still technically needs two bodies hiking, but their combined weight may not be far from the effect of one man trapezing. I even had a few online exchanges with Julian Bethwaite, and by his and others' accounts, the Tasar can carry a trapeze, obviously not while racing (but I hope the distracted outlook of racers needn't lower the tone here). The Osprey's sails easily defeat my power to keep her upright. Even with a mate beside me on the gunwale, we heeled uncomfortably on the edge of a force 4. But an Osprey sailor told me memorably..."She's a different bird when you're on the wire." ...so I still hope that as singlehanders, Ospreys and Wayfarers aren't purely for less than ten knots of breeze. I like this vid of a lad's first time singlehanding a reefed Wayfarer, and his family's relaxed views on personal buoyancy. Last edited by dancrane; 23-10-18 at 18:57.